We are at the forefront of helping the Department of Energy transform its national security enterprise. While at the same time, our mission has expanded to other government agencies with national security products to help fight the War on Terror. 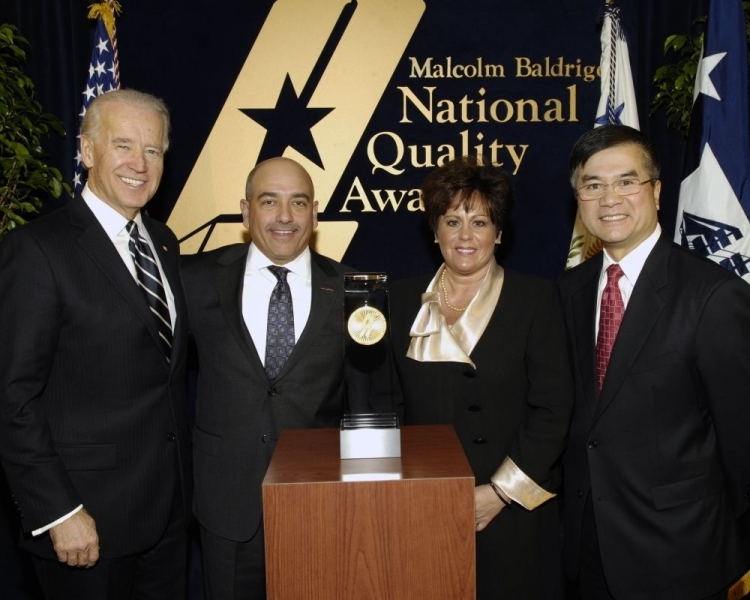 We found that the Baldrige Award’s greatest value was the opportunity to critically examine our organization and identify both our strengths and the ways we could improve. It was tough, but there’s no doubt that the Baldrige Award process made us better, and more importantly our customer has clearly benefited. We have a saying at Honeywell FM&T….. Commitments Made, Commitments Kept. That’s not a hollow slogan. It is the way we do business at every level of the organization. Our people represent a tradition of passion and precision that is unparalleled, and we take great pride in keeping our nation safe and secure. Without a doubt, this Baldrige Award is a triumph for our employees. But much more importantly, it represents a triumph for this nation’s security, our customers, and our communities. Honeywell Federal Manufacturing & Technologies is one of five organizations that received Baldrige National Quality Awards at a Washington, D.C. ceremony today. The other recipients are MidwayUSA, AtlantiCare, Heartland Health, and the Veterans Administration Cooperative Studies Program Clinical Research Pharmacy Coordinating Center.